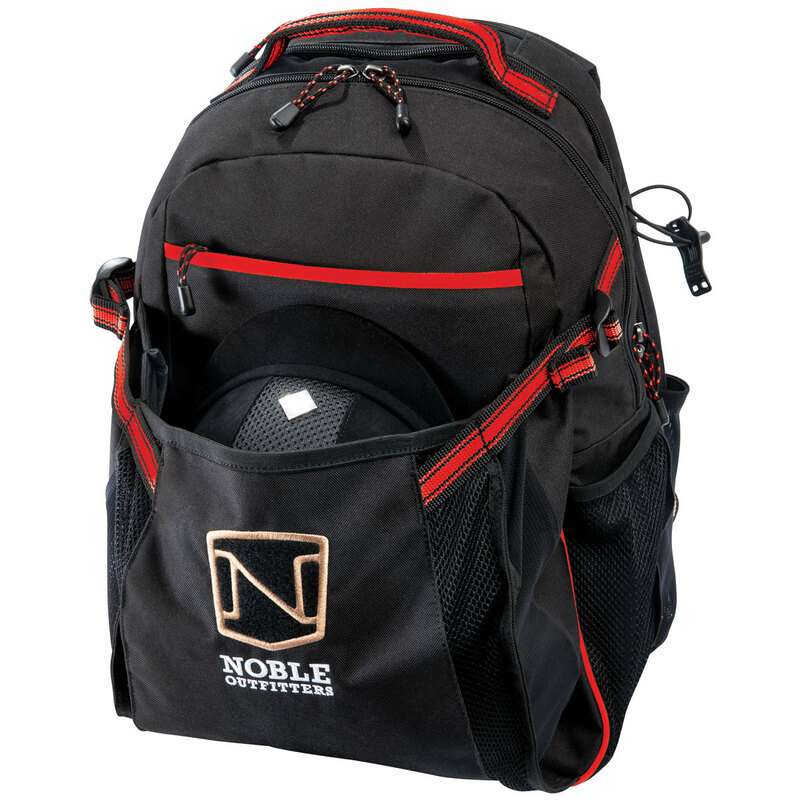 The Noble Equestrain™ Ringside Pack is the perfect backpack to comfortably transport all your riding essentials! 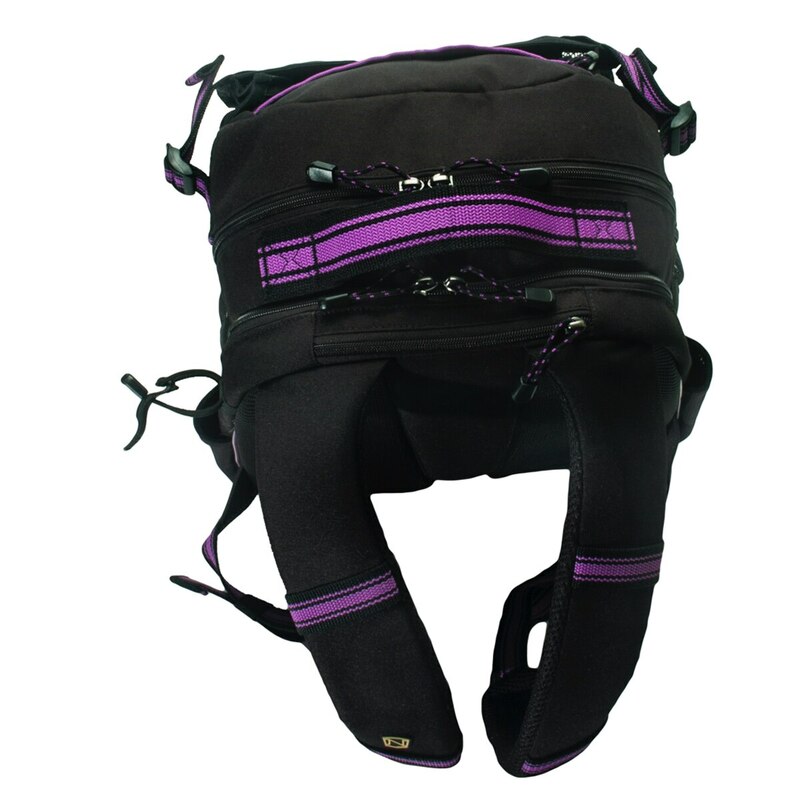 A variety of pockets allow you to comfortably carry riding equipment ranging from your helmet to your crop! 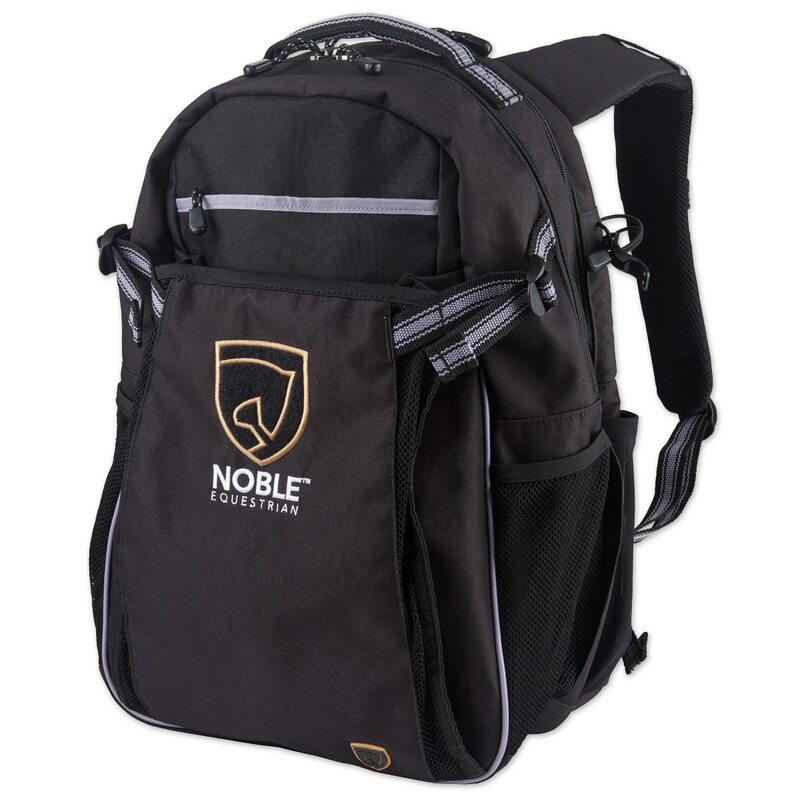 Made from a durable 600-denier 100% Polyester Canvas fabric with water repellent finish and heavy-duty interior coating for easy care, both inside and out! 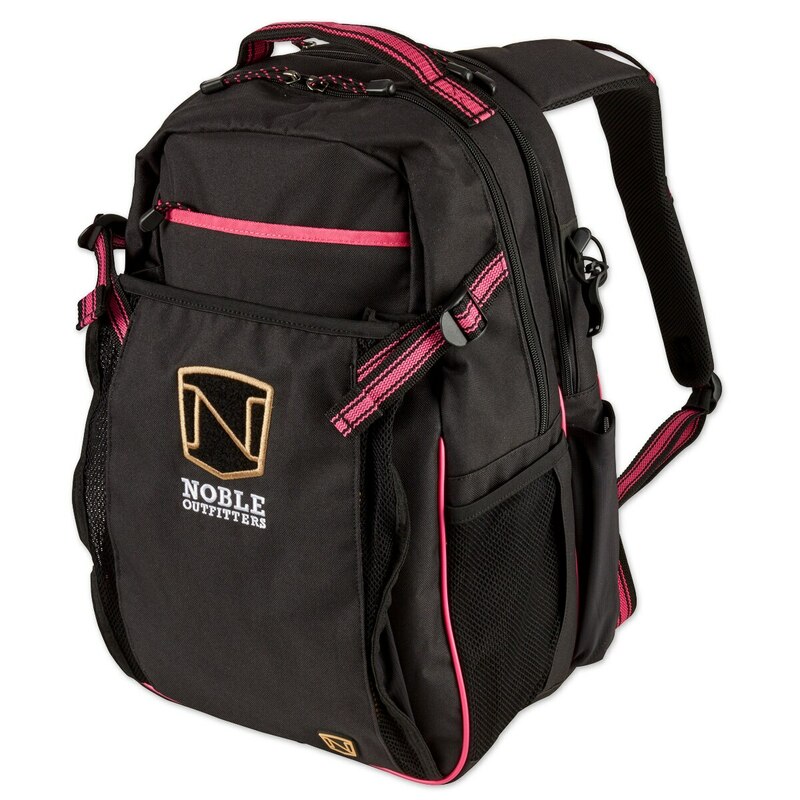 Noble Equestrian™ Ringside Pack is rated 5.0 out of 5 by 27. Rated 5 out of 5 by Jen444 from Worth EVERY PENNY! 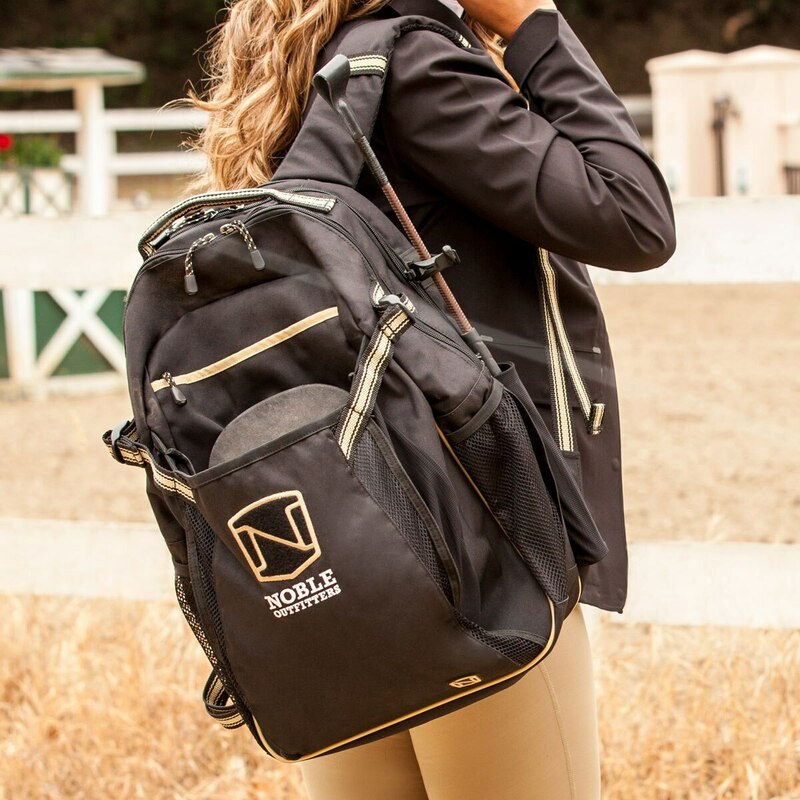 All 3 of my daughters compete with the IEA and we purchased this bag for all of them and it has been a lifesaver! 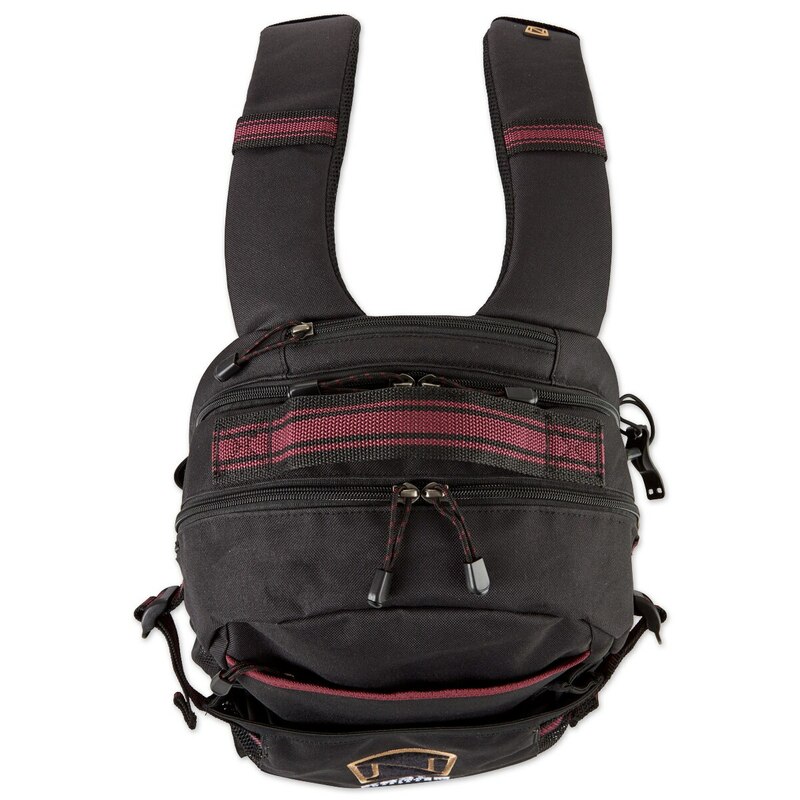 Very well constructed, quality material, tough, beautiful design and fits everything perfectly! My daughters now show up ready to ride and not fumbling around with all of their items falling out of separate bags. The helmet pouch is perfect as well. Fits Charles Owen and Samsung. Rated 5 out of 5 by AS1427 from Super roomy!!! 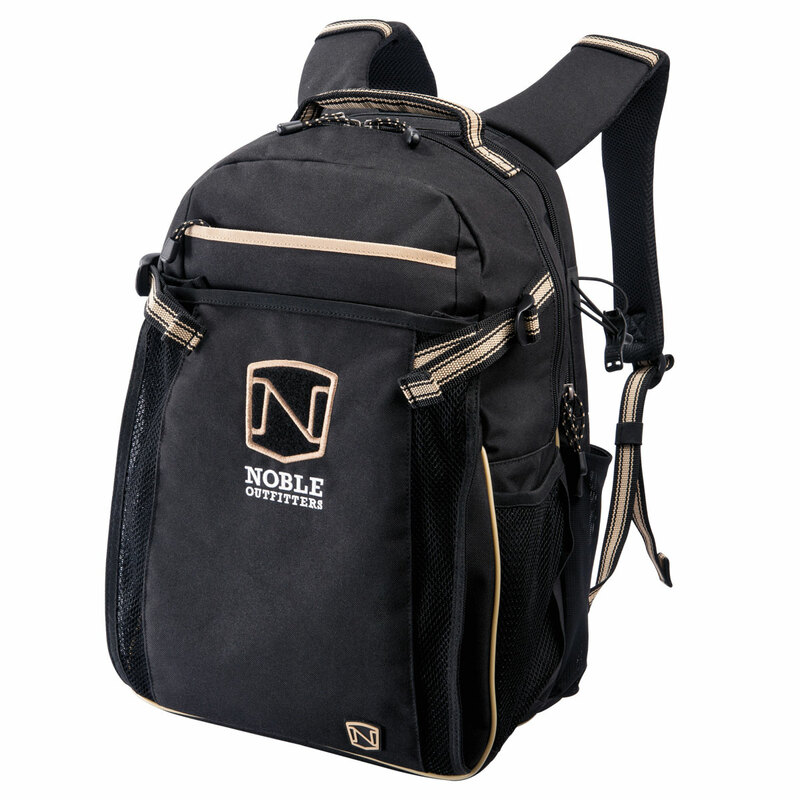 I love this backpack. 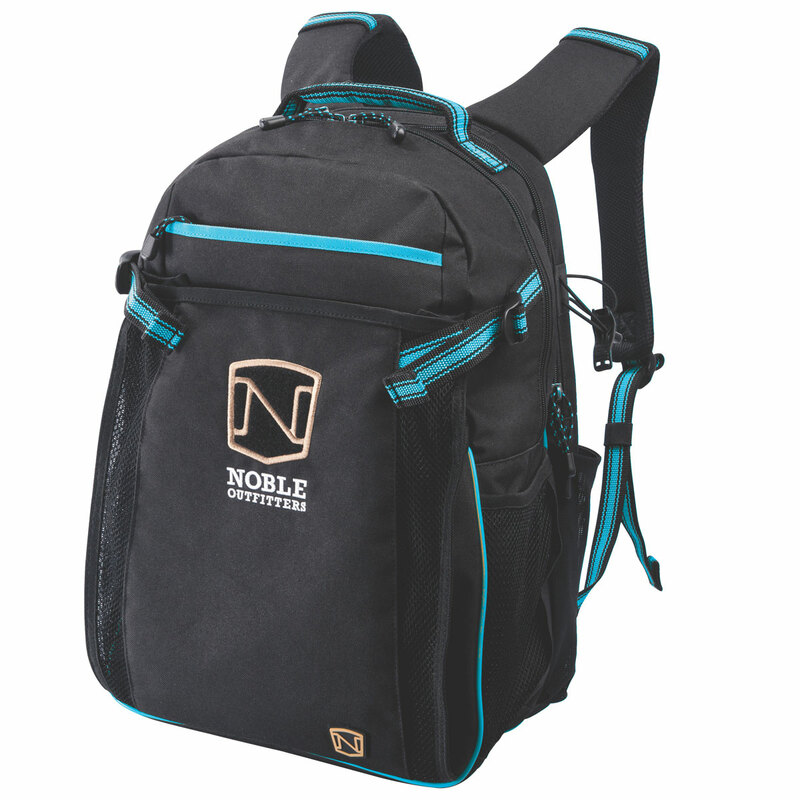 Its super durable and it beautifully made! 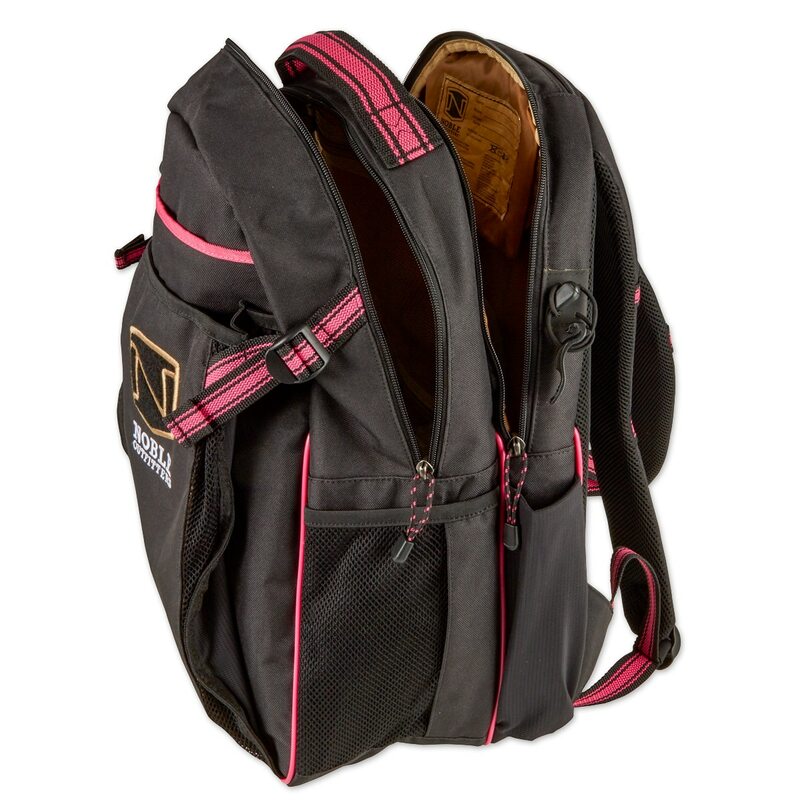 I have had this for about a year now and it has held up great plus it has LOTS of pockets that can hold many different things. 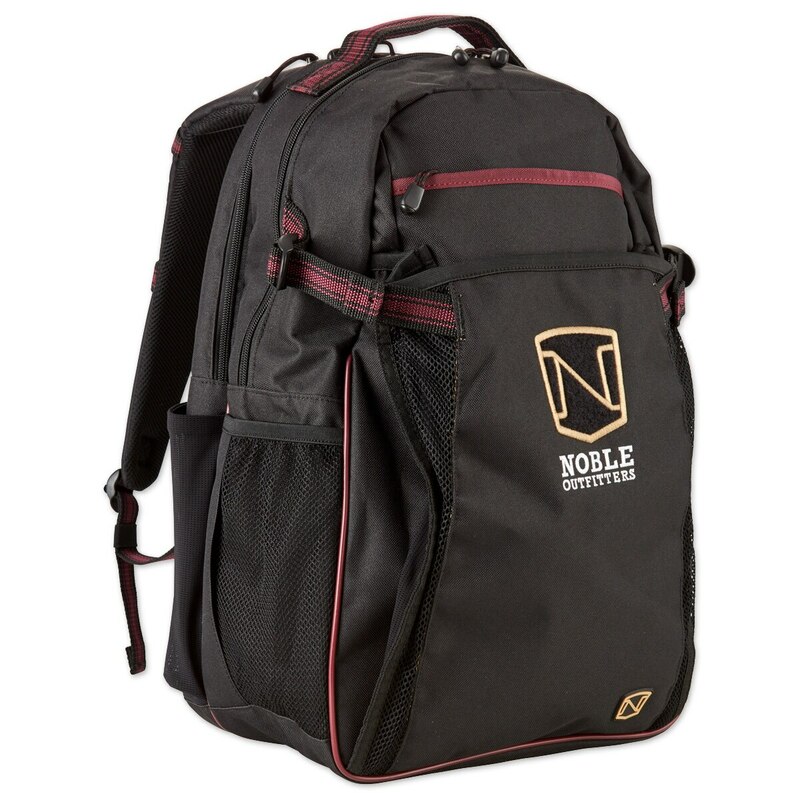 Overall I 10/10 recommend this backpack!!! Rated 5 out of 5 by barn mom from Love the product My daughter loves this and uses the product daily!!!! 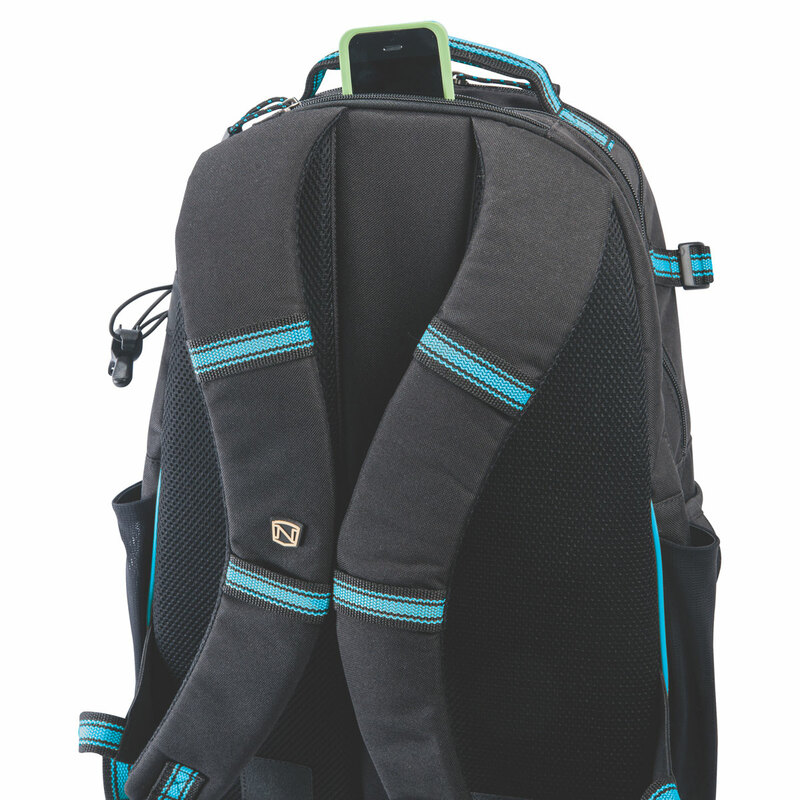 Rated 5 out of 5 by dsullivan from The BEST backpack! 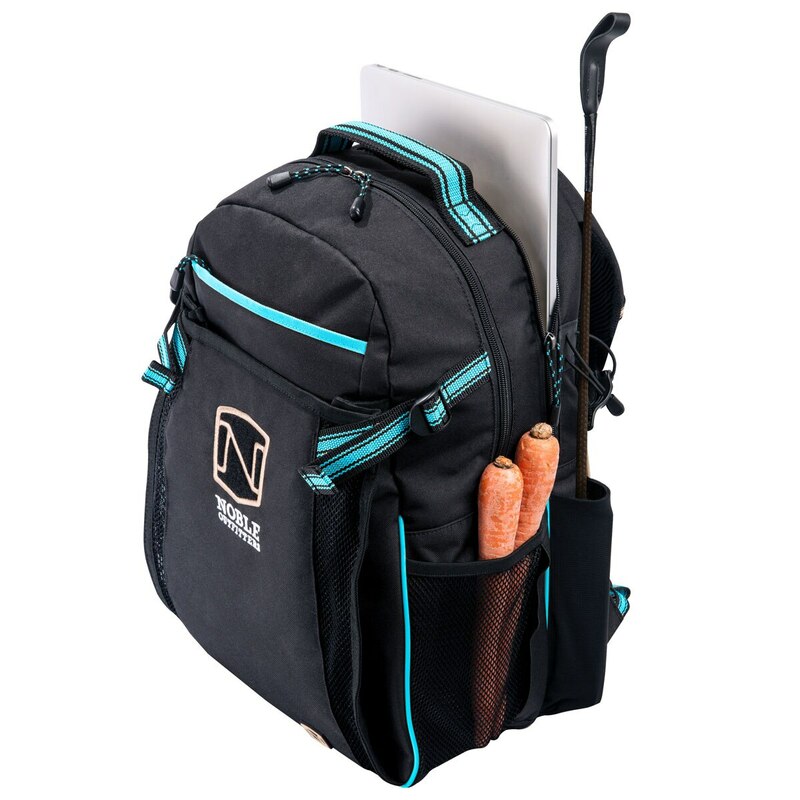 This backpack is perfect for everything!! Ringside, home to barn, college/school to barn, hotel to show! Anything! 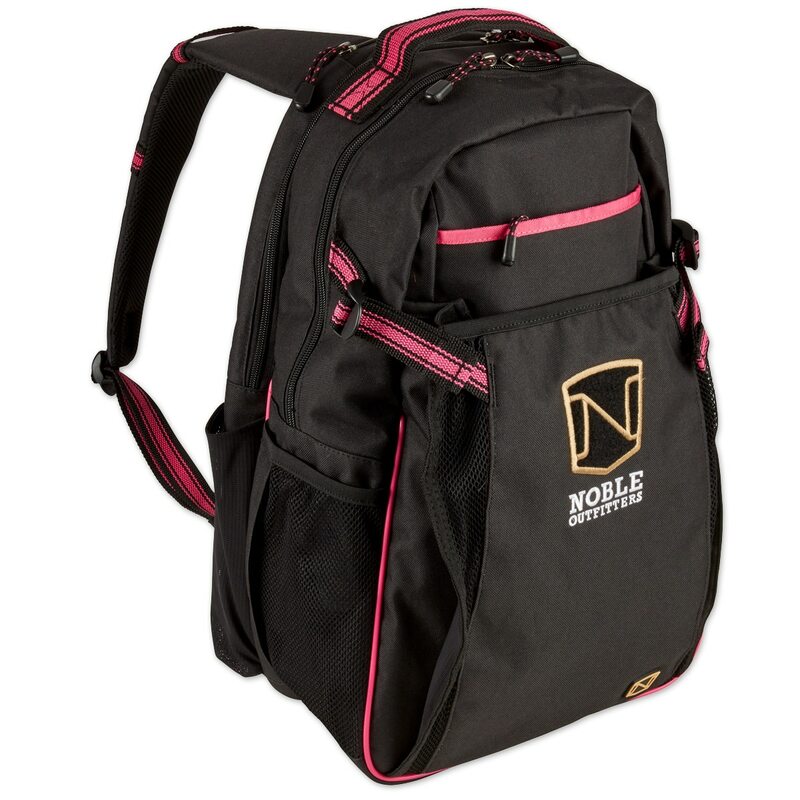 It seems SO sturdy and has so many discrete pockets inside and out as well as large open spots!! And let's not forget the best part, the helmet and crop holders!! I love how the helmet part also has mesh on the sides so there is no chance of it falling out.... 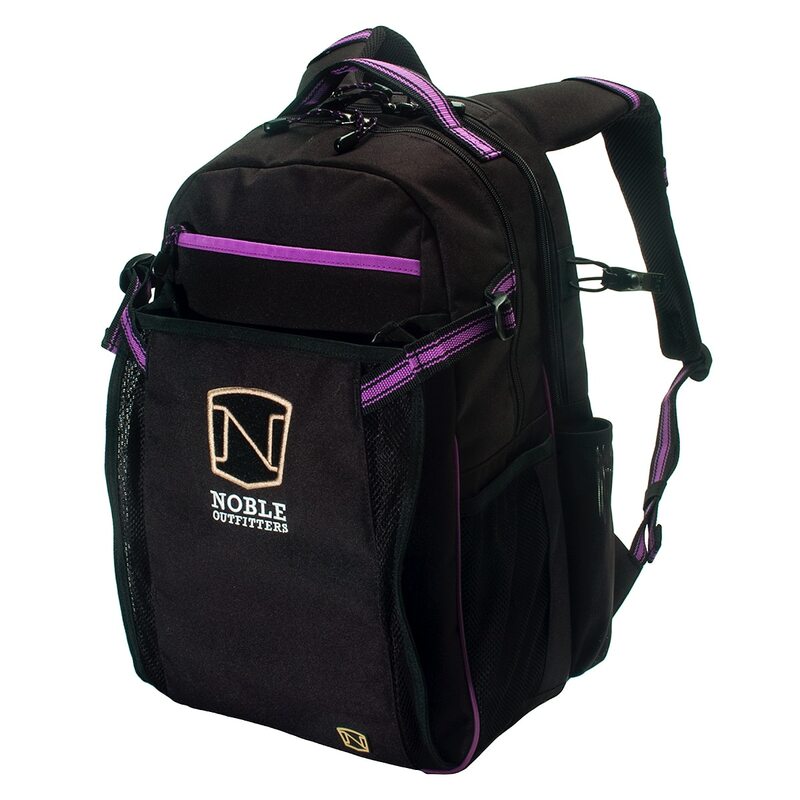 Perfect for any on the go person! Rated 5 out of 5 by Kathryn from on my second one! So I stupidly left this in my car and it was stolen! But I loved it so much I purchased a second one. I felt naked without my barn and show backpack! 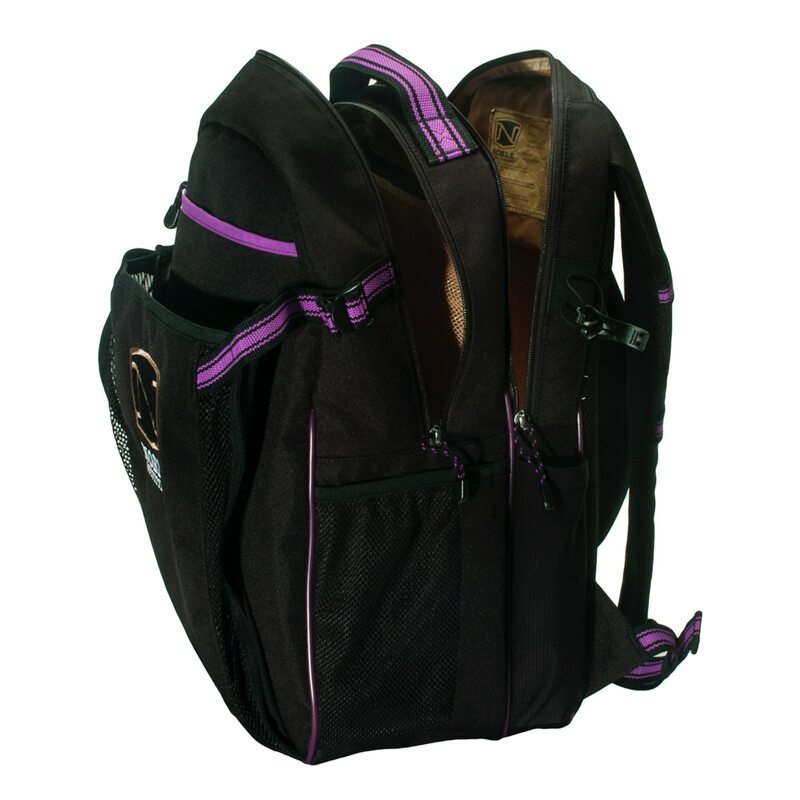 Rated 5 out of 5 by A Rider from Awesome bag! 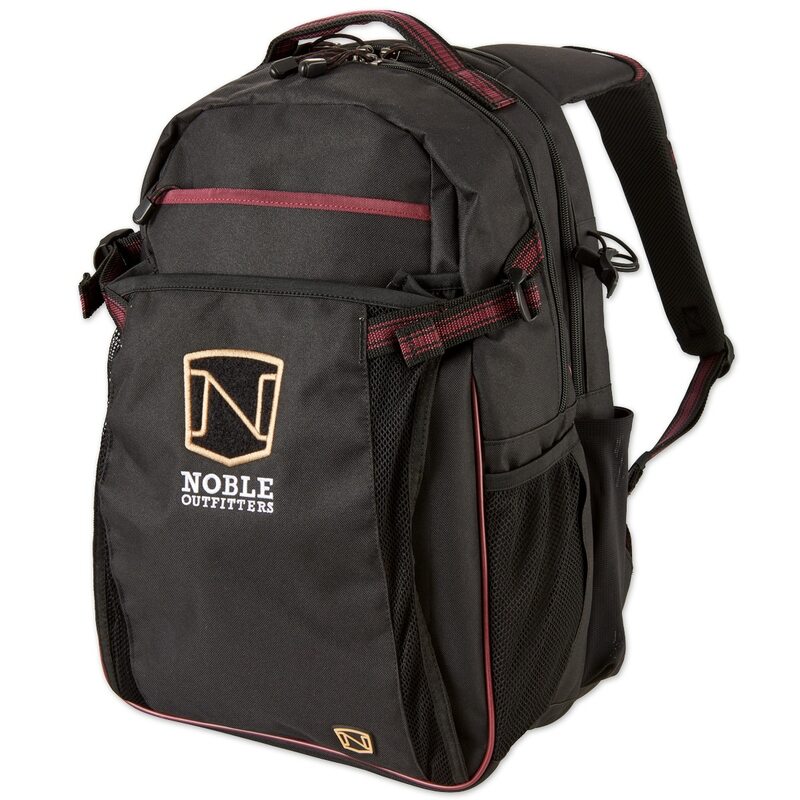 This bag looks sharp and fits everything I need! Grooming supplies, saddle pad, helmet, crop, treats, gloves, even a girth! 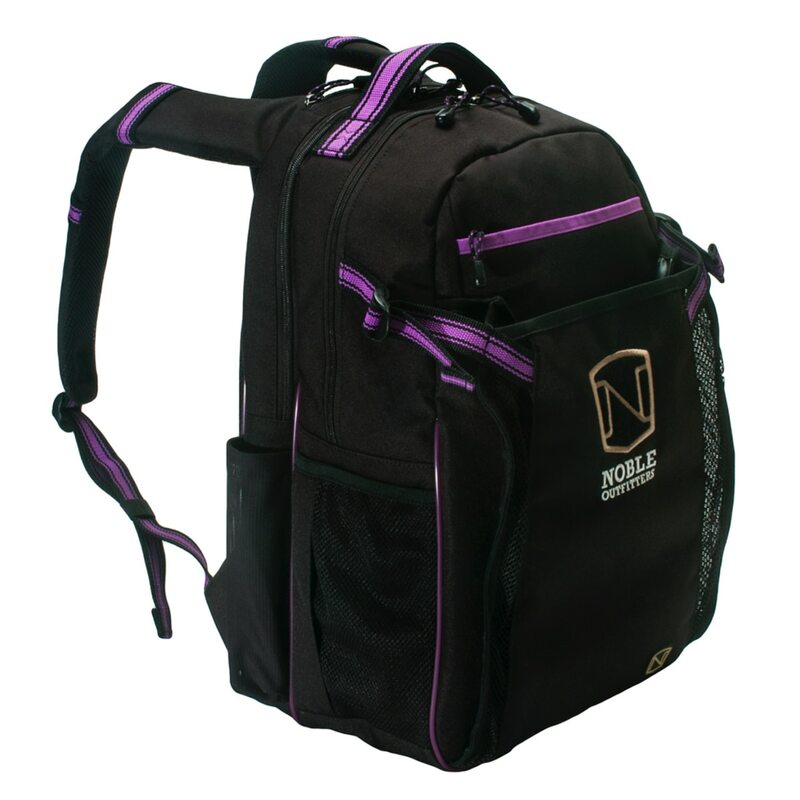 Plus all the different pockets make it easy to find everthing quickly. Cant complain! 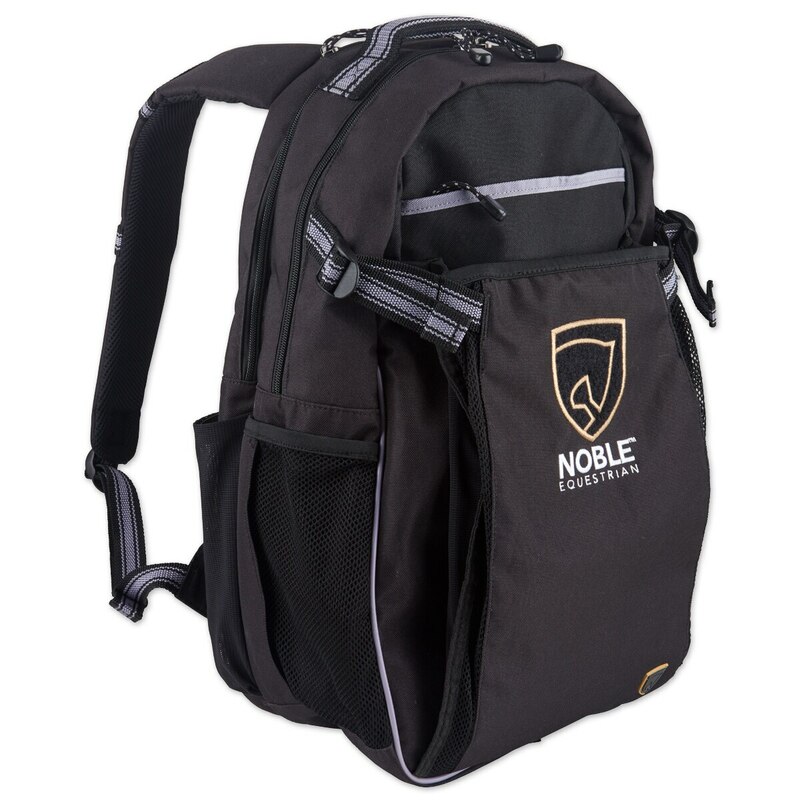 Rated 5 out of 5 by rubster_16 from Awesome Backpack! 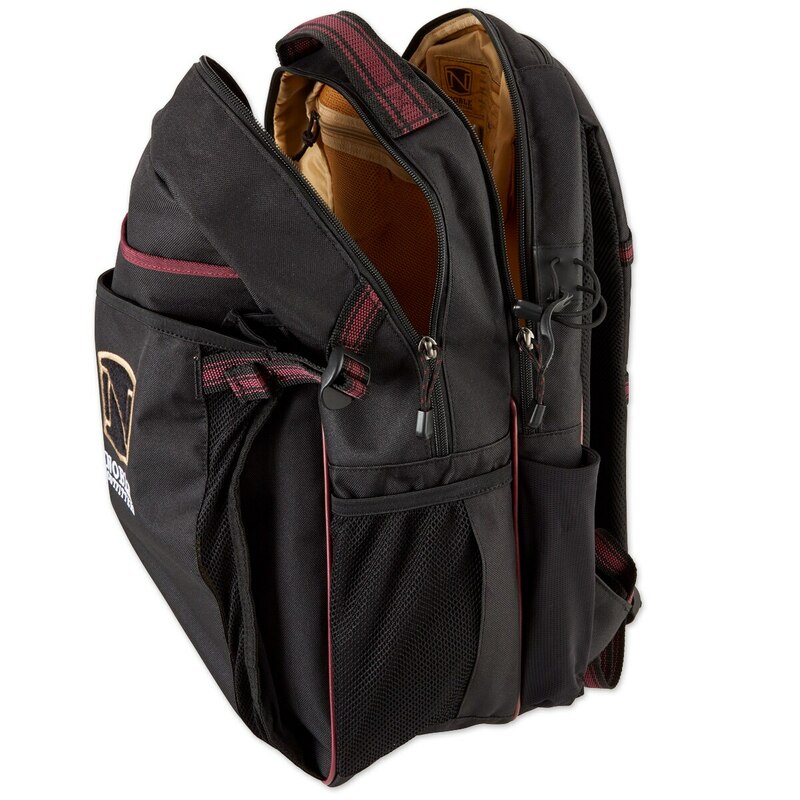 I bought this backpack about a month ago when I was moving barns and wasn't able to bring my tack trunk to the new one. 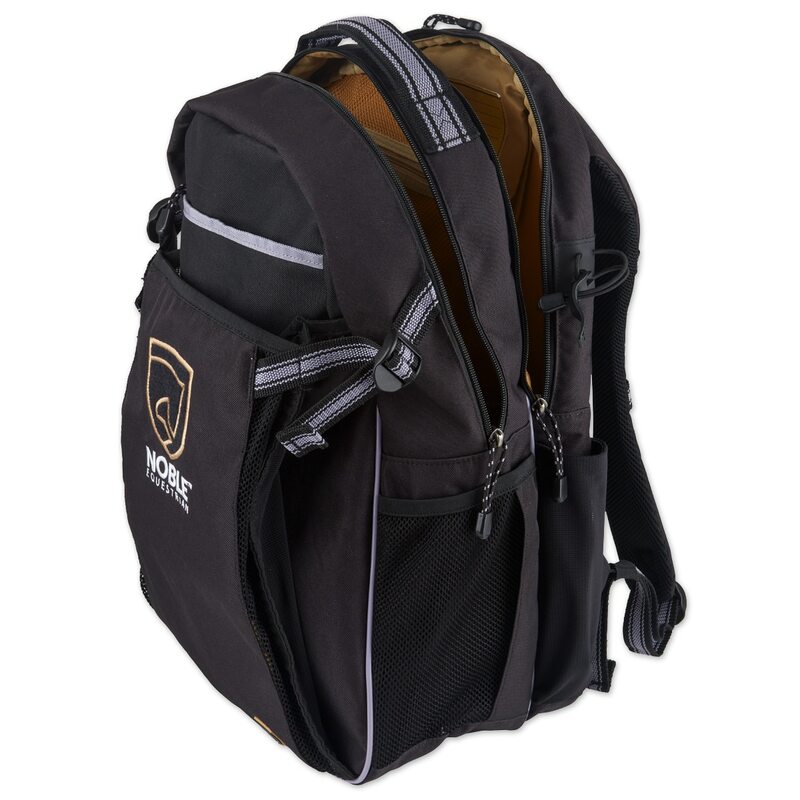 The backpack has so much space! I have my helmet, gloves, hairnet, crop and treats for my horse. I could fit 3 times that much if I wanted to! I definitely recommend this backpack.